Ash Wednesday, late in the afternoon, a thin gray man in a dun-colored raincoat staggered out the door of a rural airport. Two large suitcases rumbled at his heels. Ahead, plowed fields and pastures stretched for miles in all directions. A dark young man stood and smoked beside a yellow sedan. He wore headphones and stared at the passenger, who had a black smudge on his forehead. Wordlessly, the taxi driver hoisted the suitcases into the trunk, dropped his cigarette on the ground, and got in the car. The passenger sprawled in the back seat and stared out the window as if at a television screen. He had left New Orleans at the crack of dawn, threaded his way through a maze of corridors and security checks, and endured the cramped quarters of a jumbo jet and a propeller plane. Around midday, he had swallowed two crackers and a cup of ice water. After an eternity of landscape, they entered Hapsburg, a Virginia courthouse town, all red brick and boxwood. There was no traffic. The driver found the address and rolled to a stop. He sprang from his seat, heaved the suitcases from the trunk, and stood them on the sidewalk beside a wrought-iron fence. The passenger gave him wad of bills. “Too much!” The driver tried to give some money back. With much thrusting back and forth, they compromised. The driver got in and eased away, shaking his head. The man grasped the suitcase handles and toiled up the front walk. The house was substantial, built in the 1920s in a neocolonial style. The entry porch boasted two white columns with an arch and gable above, a perfect aedicule. The brass knocker made a resounding thump. The door swung open to reveal a ten-year old girl dressed in a spangled leotard. She wielded an aluminum baton. “Cousin Tony!” she shrieked. “He’s here!” She dropped the baton in the middle of the hall and threw her arms around him. Two middle-aged adults converged in the hall, as Bug rapidly recounted her life to this moment and tugged at Cousin Tony’s raincoat. A girl of sixteen descended the stair. Emily was a rose, fresh and graceful. She took Cousin Tony’s outstretched hand like a dance partner. As his other hand directed, she made a full turn, laughing with pleasure. Eleanor Clough took the raincoat. Armistead Clough fetched the suitcases. Emily simply stood there, and Bug danced a jig. “I hope the trip wasn’t too tiring,” Armistead said. “Can I take it up on a silver tray?” Bug asked, hopping up and down. Bug bounded up the stair after Armistead, who was struggling with the suitcases. Cousin Tony followed them to a large bedroom with flowered wallpaper and a carved four-poster bed. He was winded from climbing the stair and smiled weakly. Armistead shooed his daughter out of the room and pulled the door shut behind him. “He looks completely worn out,” he said to his wife in the kitchen. She ladled a hearty stew into a tureen, as he poured glasses of sherry. “I’m a grumpy, middle-aged banker, not an ogre.” He picked up a tray of glasses. Thirty minutes later, the family sat at the dining room table. Cousin Tony had washed his face and run a wet comb through his hair, which clung in gray strands to his scalp. “I set the table,” Bug said. “Was Mardi Gras as crowded as last year?” Eleanor asked. “Except for bars and restaurants,” Armistead said. “Did you make costumes again?” Emily asked. “Who was your client this year?” Armistead asked. “Someday, I’d like to go to New Orleans, to see for myself,” Emily said. “Can I go, too?” Bug asked. Armistead pushed his chair back and offered to assist. “Sir, you overwhelm me,” Cousin Tony said. He shook off his host’s arm, wended his way out of the dining room, and slowly climbed the stair. The next day, the girls went off to school, and Eleanor took up a breakfast tray. Cousin Tony lay in bed, dozing and leafing through a magazine. 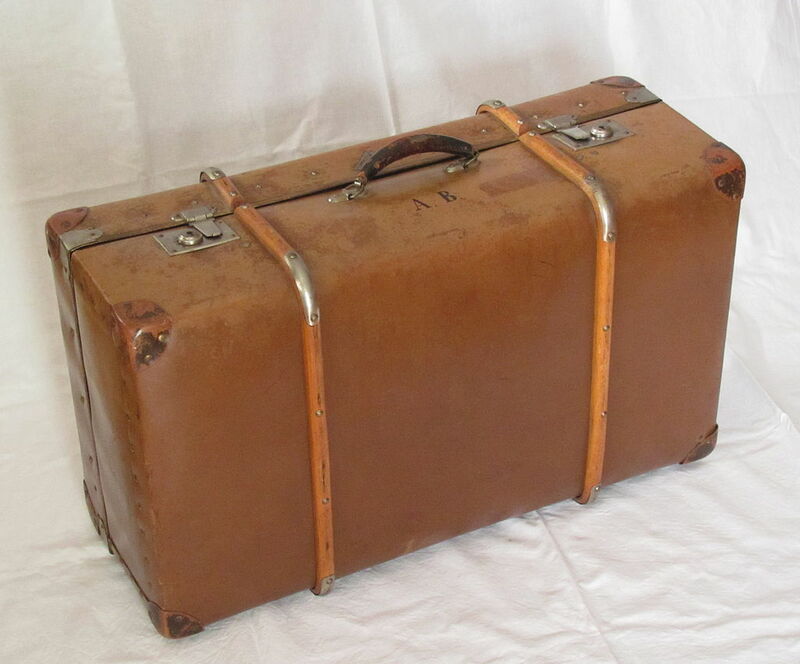 His suitcases were open, their contents strewn across the room. He picked at a slice of toast and wet his lips with a cup of tea. Cousin Tony roused himself by noon. Eleanor had to go out, so she left a sandwich on a plate, with a note: “Help yourself to anything you want.” He made a cup of tea, nibbled the sandwich, and stared out the window. The sun was out, but the garden had nothing to admire. He glanced at the weekly newspaper. The front page carried a story about the county landfill and how new regulations might impact it. “If that’s the most burning issue in this town . . .” he said. Back in his room, Cousin Tony spent the afternoon unpacking. He shook out the hanging items and smoothed the folded items. Eleanor had cleared out the dresser and closet, which was liberally stocked with wooden and padded hangers. A more thoughtful hostess could not exist. By four-thirty, everything was stowed away, and the suitcases were shoved in the dark recess of the closet. An antique jewelry chest sat on the bed beside Cousin Tony. He was presentable in a pale blue cotton shirt and charcoal gray trousers, with matching oxblood leather belt and loafers. When the girls returned from school, they went straight to his room. Emily was almost as excited as her younger sister. “What did you bring us from Mardi Gras?” Bug asked. “You’ll never guess,” he said. “Much better than that.” He patted the chest. In an agony of suspense, Bug looked up and extended her arms beseechingly. Emily twitched with laughter. He turned a little key in the chest. He drew out a diamond necklace, draped it on Emily’s neck, and fastened the clasp. Then he took a tiara of pearls and placed it on Bug’s forehead. The girls stared at each other in amazement, then rushed for the mirror that hung over the dresser. Bug was too short to see more than the tip of the tiara. “It’s not fair,” she wailed. “Stand on this,” Cousin Tony said, moving a stool. Cousin Tony selected jeweled rings and slipped them on the girls’ fingers. Bracelets and bangles followed, gold and diamond earrings, a sapphire necklace for Bug, and a tiara set with a constellation of diamonds for Emily. Bug danced sedately in place, as she imagined a princess would do, while Emily gazed in the mirror, transfixed. The girls murmured in awe. “Can I show Mama?” Bug asked. Below them, the front door opened. Armistead Clough announced that he was home. “I want to show Daddy,” Emily said. The girls ran out of the room. Cousin Tony stayed seated on the bed beside the empty treasure chest. Voices floated up through the house. In a few minutes the girls did also, bedecked in their finery. “Pick for me!” Bug said. Bug giggled as he made the adjustment. She remained in a high state of glee all through dinner, earning a reprimand and nearly losing dessert. Emily was radiant. Her father could hardly take his eyes off her. Her mother saw with alarming clarity that Emily had become a woman. For most of his stay, he kept to his room. They made an outing to Shady Grove to see Eleanor’s mother, but the visit was not a success. Adele had grown increasingly vague over the past year. She recognized her daughter, but not Emily and Elizabeth. She dismissed the wizened stranger. The two girls exchanged a look. Before they could burst into laughter, Eleanor cut in. She peered at him and shook her head. “The years have not been kind,” he said. At the end of two weeks, Cousin Tony packed his suitcases, produced his return flight ticket, and telephoned for a taxi. Armistead had left for the bank, and the girls were in school. “Are you sure you won’t stay longer?” Eleanor asked. The taxi arrived, the same one that delivered Cousin Tony. The same driver fetched his suitcases, then reinserted his earphones for the interminable drive to the airport. That evening, Armistead and Eleanor talked as they got ready for bed. Through spring and summer, Emily and Bug played dress-up with the jewelry. Then it migrated to the attic, where outdated clothes, cardboard boxes, old photographs, and Christmas decorations were stored. Emily had already left childhood behind. Her attention was fixed on boys, dating, and the intricacies of calculus. Like her father, she excelled at mathematics. Bug focused on baton twirling. A born athlete, she practiced every day and scorned any pursuit not twirling-related. In autumn, the annual rummage sale at St. Giles Episcopal Church was an early indicator of the holiday season, the leading edge of the storm. The Clough family always donated something. Standing in the attic, her arms full of coats and dresses, Eleanor noticed the antique chest with its key in the embossed lock. The girls had not been near it for months. She added it to her pile. At the dinner table that night, she brought up the subject. Bug looked up blankly and opened her mouth. A pea fell on her plate. “Do not talk with food in your mouth,” Eleanor said. Several days later, Vernita Swank pulled Eleanor aside in the vestibule of St. Giles. It was Sunday morning, after the service. The choir had performed admirably, and the rector stood in the open door, shaking hands and greeting his flock. That night, Eleanor phoned New Orleans. A man’s voice answered, low and gruff. Luther hung up before she could reply.